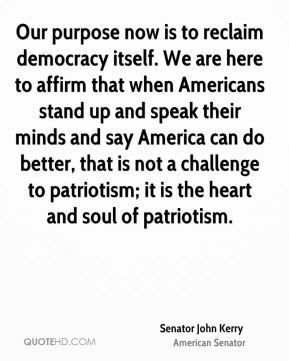 I think the only way to characterize that prediction, as we stand today, is inaccurate. 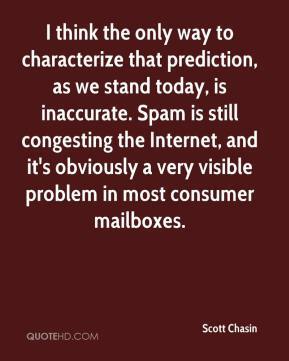 Spam is still congesting the Internet, and it's obviously a very visible problem in most consumer mailboxes. 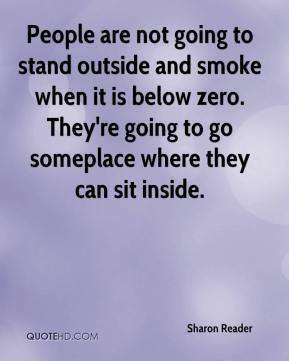 People are not going to stand outside and smoke when it is below zero. They're going to go someplace where they can sit inside. 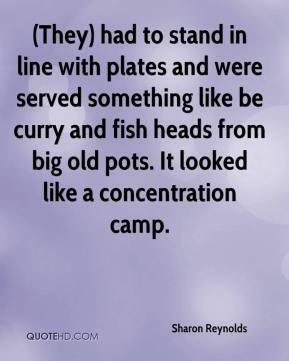 (They) had to stand in line with plates and were served something like be curry and fish heads from big old pots. It looked like a concentration camp. We stand ready to negotiate throughout the trial and beyond to continue to work on a consensual agreement. 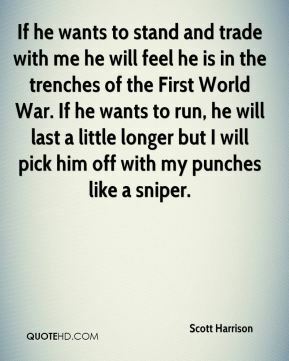 If he wants to stand and trade with me he will feel he is in the trenches of the First World War. If he wants to run, he will last a little longer but I will pick him off with my punches like a sniper. 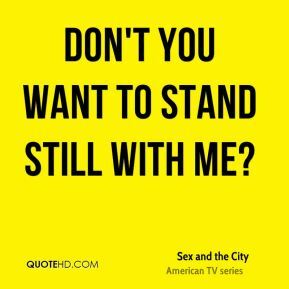 They can stand on that street corner and yell their lungs out, ... 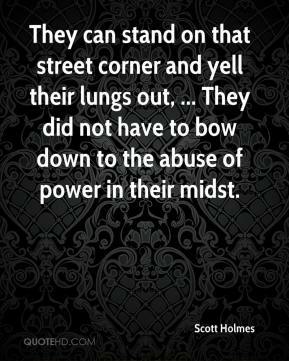 They did not have to bow down to the abuse of power in their midst. 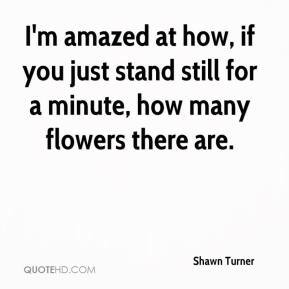 I'm amazed at how, if you just stand still for a minute, how many flowers there are. The quicker I get back, the better. I'm not one of those guys who likes to stand around on the sideline. I'm definitely a cheerleader for my guys when I'm not in there, but I definitely don't want to do that for a living. 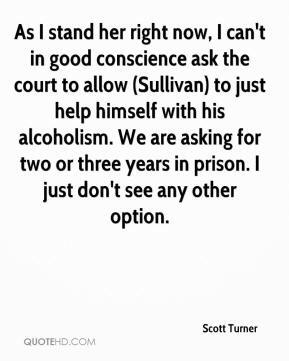 As I stand her right now, I can't in good conscience ask the court to allow (Sullivan) to just help himself with his alcoholism. We are asking for two or three years in prison. I just don't see any other option. 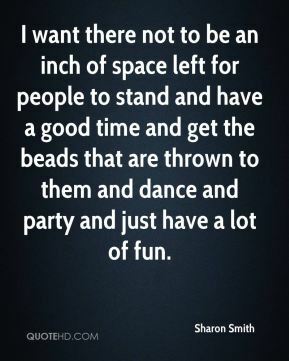 I want there not to be an inch of space left for people to stand and have a good time and get the beads that are thrown to them and dance and party and just have a lot of fun. 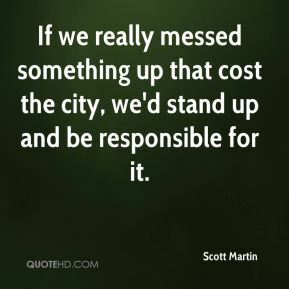 If we really messed something up that cost the city, we'd stand up and be responsible for it. 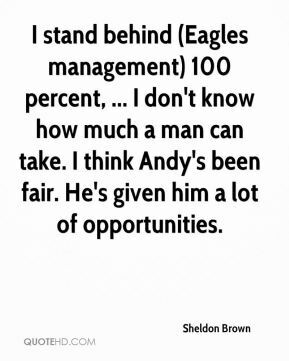 I stand behind (Eagles management) 100 percent, ... 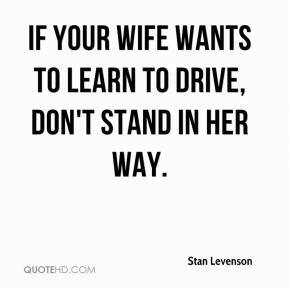 I don't know how much a man can take. I think Andy's been fair. He's given him a lot of opportunities. 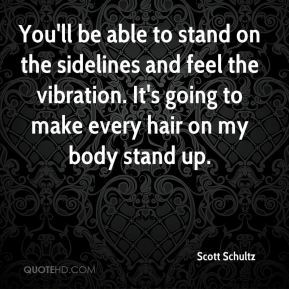 You'll be able to stand on the sidelines and feel the vibration. It's going to make every hair on my body stand up. I have to stand up to my responsibility and if I have to go to prison, I'll go to prison. 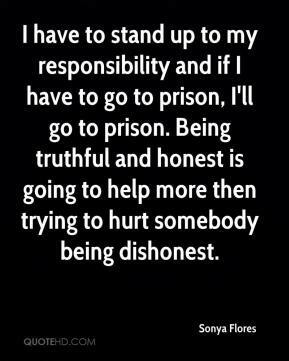 Being truthful and honest is going to help more then trying to hurt somebody being dishonest. 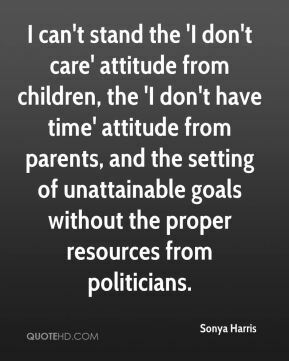 I can't stand the 'I don't care' attitude from children, the 'I don't have time' attitude from parents, and the setting of unattainable goals without the proper resources from politicians. 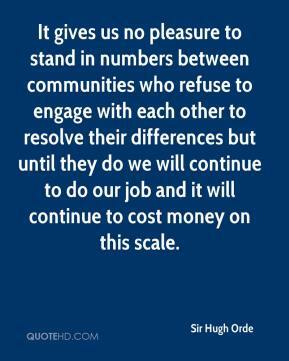 It gives us no pleasure to stand in numbers between communities who refuse to engage with each other to resolve their differences but until they do we will continue to do our job and it will continue to cost money on this scale. 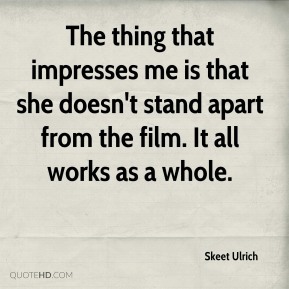 The thing that impresses me is that she doesn't stand apart from the film. 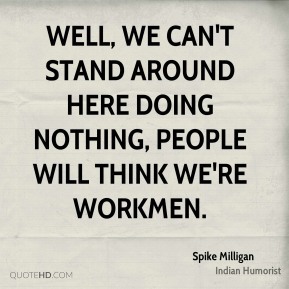 It all works as a whole. 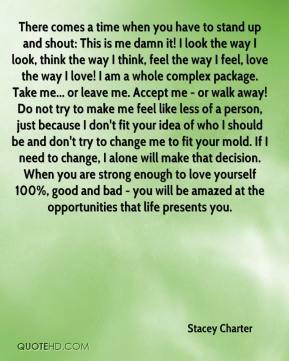 I think that's why people like me. 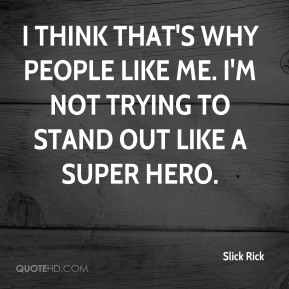 I'm not trying to stand out like a super hero. 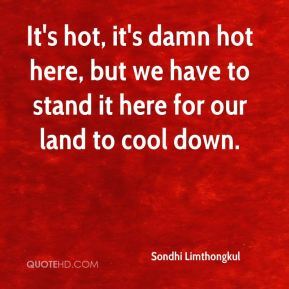 It's hot, it's damn hot here, but we have to stand it here for our land to cool down.